Starkey is an American hearing aid manufacturer, based in Minnesota. Established in the early 1970’s, they have since been at the forefront of hearing aid technology including being the first manufacturer to offer a completely in the canal hearing aid (called the Tympanette) in 1992, and releasing their ‘Made for iPhone’ hearing aid called Halo in 2014. Focus Hearing has access to Starkey’s latest product portfolio including Halo2 the ‘Made for iPhone’ hearing aid, and the invisible SoundLens hearing aid. More information on Starkey’s current technology can be found here. The Halo 2 hearing aid is the next generation Halo hearing aid from Starkey. 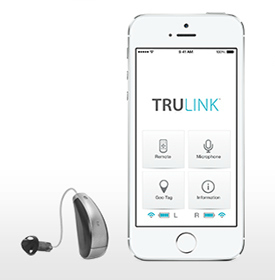 Halo 2 combines leading edge hearing aid technology with the convenience of being able to wirelessly connect to your iPhone, iPad or iPod using TruLink, Starkey’s personalised hearing control app. Halo is available in the very popular Receiver in Canal style which provides the perfect balance between comfort and cosmetic appeal. SoundLens Synergy is Starkey’s invisible-in-canal (IIC) hearing aid option for those who want the most discreet hearing aid option available. 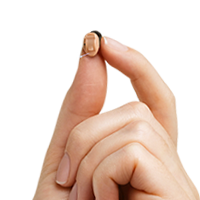 Despite its small size, SoundLens still features Starkey’s latest hearing technology. The wireless family of hearing aids from Starkey are compatible with Stakey’s SurfLink Mobile, SurfLink Media and SurfLink Remote accessories which allow for wireless streaming of phone calls or other electronic signals such as the television directly to your hearing aids. Muse hearing aids are available in all styles from custom made range of In The Ear hearing aids to the mini Behind The Ear style. 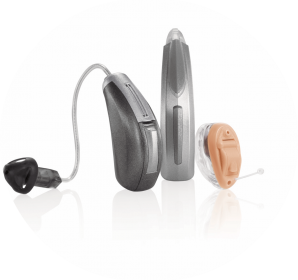 All of the wireless range of hearing aids are available with Starkey’s latest hearing aid technology, including Acuity™ Directional, to significantly improve speech clarity in areas of background noise. 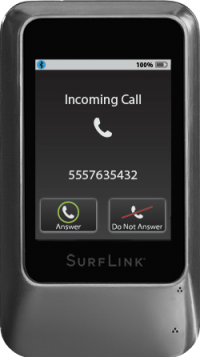 SurfLink Mobile 2 wirelessly streams phone conversations and music from your mobile phone. In addition it is also an assistive listening device, media streamer, and hearing aid remote all rolled into one. When paired with wireless hearing aids, it’s everything you’ll need to talk on the phone, enjoy TV, music, and so much more. You’ll get clear and consistent wireless streaming any time, anywhere. automatically streams sound directly to your hearing aids when you’re in range. A remote is available with all wireless hearing aids, and can be used to adjust volume, change memory modes and more. The SurfLink remote is simple to use and is a very small and lightweight accessory to discreetly control your hearing aids. This discreet, lightweight microphone is worn by your conversation partner to aid you in one-on-one conversations in difficult listening environments. Use of the Remote Mic has been shown to significantly improve conversation in areas of background noise. The audiologist at Focus Hearing can help you decide if a RemoteMic is right for you and your lifestyle.